I got 2 CPS2 boards today for repair. One of them was a Children of the Atom game that had suicided, simple enough. I erased ROMs 3 and 4 and burned the bootleg code. 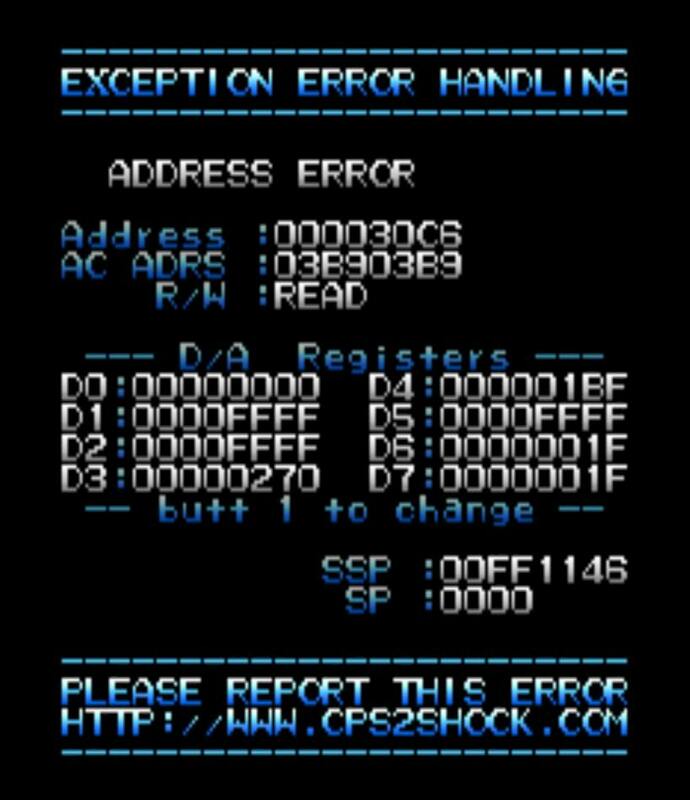 The game booted up to the copyright screen then bombed me out with an error. After a bit of playing about it turns out that the installed ROMs were from the Japanese version of this game and this is different from the Euro version (which is what the Phoenix ROMs are based on) so I had to erase ROMs 5 – 10 and reprogram them with the Euro version.